Marc Morano on "The Weather Lottery": Your chance of the winning the lottery is very low, but the chance of someone, somewhere winning the lottery are very high. 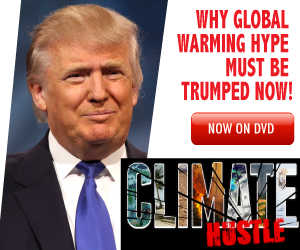 The climate campaigners and the media essentially hype the “winners” of the extreme weather lottery, wherever they are, and attempt to imply these events are happening everywhere. Extreme weather always strikes somewhere at some time, and it always will, so there is no shortage of examples of “record” storms. Lotteries and casinos do the same thing in their ads—showing the winners, and implying that you are just one ticket or spin away from joining them. Meteorologist Topper Shutt explained the misuse of the term 100-year flood after Hurricane Harvey hit Houston in 2017. “A 500-year flood does not mean that an area will see a flood of that magnitude once in 500 years. It means that in any given year there is a .2% chance of a 500-year flood and likewise a 1% chance every year for a 100-year flood,” Shutt wrote. “Remember, we are talking about billions of years of climate and usually just a hundred years of actual, observational data." 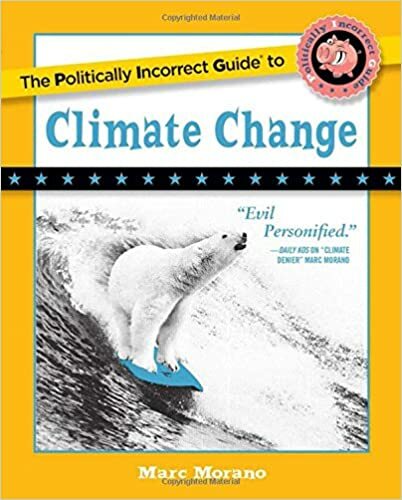 But the new best-selling book, “The Politically Incorrect Guide to Climate Change,” refutes this notion and explains the significance behind the claims 1 in 100, 1 in 500 or 1 in 1000 year weather events. Peer-reviewed studies and current data refute the claims that global warming is making floods worse. Extreme weather expert Roger Pielke Jr. asked, “Are US floods increasing? The answer is still ‘No,’ A new paper…in the Hydrological Sciences Journal shows that flooding has not increased in U.S. over records of 85 to 127 years. This adds to a pile of research that shows similar results around the world,” Pielke wrote. they are, and attempt to imply these events are happening everywhere. Extreme weather always strikes somewhere at some time, and it always will, so there is no shortage of examples of “record” storms. Lotteries and casinos do the same thing in their ads—showing the winners, and implying that you are just one ticket or spin away from joining them.